The next time you look for a drug store, make sure it’s looking out for you. 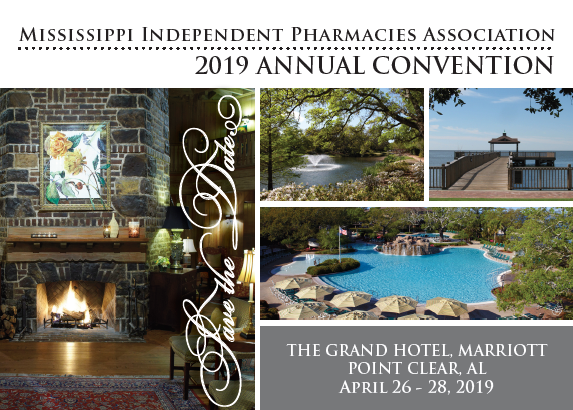 Look for the Mississippi Independent Pharmacies Association sticker on the door. Mississippi independent pharmacies are dedicated to serving you and your community. Independently owned pharmacists take the time to understand your healthcare needs from dispensing medication for an illness to dispensing the answers necessary to sooth your concerns. The independent, community pharmacists in your town will always meet the expectations of your community. The foundation of their business is customer service, which means you can depend on your community pharmacists 24/7. Your name is not your prescription number and coming back in an hour is not an option. The personal attention a community pharmacist gives, will let you know they are in your corner. This is why Mississippi is proud of our independently owned pharmacies. And not only does the consumer’s money benefit the business of the community pharmacy, but it also aids in the growth of the local community and state of Mississippi. This is why Mississippi is proud of our independently owned pharmacies. The Mississippi Division of Medicaid (DOM) has heard pharmacy providers’ concerns and adjusted the claims reprocessing schedule originally noted in the Late Breaking News, sent on Aug. 3, 2017, titled “Pharmacy Reimbursement/Reprocessing”. The dates noted in the schedule included in the attached notice reflect that reprocessing will be performed over 10 months, rather than five months as originally scheduled. Reprocessing will be performed in biweekly increments over a total time frame of no less than 10 months. Note: providers do not need to reverse and resubmit claims manually. Revisions to the Pharmacy Practice Regulations regarding the increase in Pharmacy Technician/Pharmacist ratios have been completed and effective August 1, 2016, the ratio is three Pharmacy Technicians to one Pharmacist. This ratio applies to all practice settings. Please bear in mind that, regardless of the ratio, that those tasks authorized to be conducted by Pharmacy Technicians may only be performed under the direct and immediate supervision of a Pharmacist. It is the responsibility of the Pharmacist-In-Charge as well as supervising pharmacists to provide supervision of duties of the pharmacy technician and to prevent pharmacy technicians from performing those functions relative to dispensing which are functions based on a judgment for which the pharmacy technician has not been prepared by education or authorized by law or regulation. The Pharmacist-In-Charge (PIC) is responsible for assuring that all personnel are properly registered with the Board. If you have questions concerning ratios or approved tasks of a Pharmacy Technician please contact the Mississippi Board of Pharmacy. 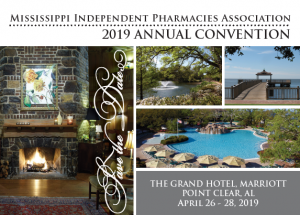 Mississippi Independent Pharmacies Association is trying to help the University of Mississippi School of Pharmacy raise money for their Faser Capital Campaign. The campaign is raising money to help fund the refurbishment of floors 1 and 2 of Faser Hall. Please click on the link below to find out more information on how you can help!